According to the Center for Disease Control, drivers between 16 and 19 years old are three times more likely to be involved in a fatal crash than driver over age 20. This is a risk we are all too familiar with as a Sacramento accident law firm. We represent those who have lost loved ones or who have been injured in car accidents, including those caused by teen drivers. We are also following attempts in the state legislature to protect teens themselves as well as all Californians who share the road with young and inexperienced drivers. As reported in The Sacramento Bee, state lawmakers in California are working on proposals that they hope would reduce the number of accidents involving teen drivers. Currently, drivers under age 18 are required to take a driver’s education class, complete 50 hours of supervised training behind the wheel, and undergo a one year provisional licensure period when they cannot drive after 11 P.M. and cannot transport passengers under age 20. On Monday, the Assembly Transportation Committee approved two bills that would expand these restrictions. Assembly Bill 724, proposed by Assemblyman Cooley on Rancho Cordova, would require drivers who are first licensed at age 18 or 19 to undergo 30 hours of driver’s education, complete six hours of in-vehicle training, and then have a provisional license with the same time and occupancy restrictions that apply to newly-licensed 17 and 17 year olds. The provisional license would apply for one year or until the driver reaches age 20, whichever comes first. Assembly Bill 113, proposed by Assemblyman Frazier of Oakley, would make the existing provisional licensure for 16 and 17 year olds stricter, prohibiting driving after 10 P.M. (one hour earlier than the current rule) or with passengers under age 21 (one year older than the current rule). The restrictions would be lifted at age 18. The Bee’s report noted that provisional licensure has been found to reduce accidents, injuries, and deaths. However, more and more teens are waiting until age 18 to obtain their license, a move that allows them to avoid the restrictions under the current provisional licensure system. Assemblyman Cooley’s proposal is motivated by research showing that the first year of driving is risky regardless of the driver’s age. Cooley’s bill may face challenges because 18 and 19 year old are adults and more likely to have jobs that would be impacted by nighttime restrictions. The bill does have some leeway for drivers who obtain notes from either parents or work. Other members of the committee worried about the potential of the expanded age provisions to impact military members, with Assemblyman Ammiano noting “[i]t seems odd to have someone serve our country and then have them drive with their mother.” Both Cooley and Frazier’s proposals are headed to the Assembly Appropriations Committee. At The Brod Firm, we see the grieving families and injured individuals whose lives have been tragically altered by car accidents. 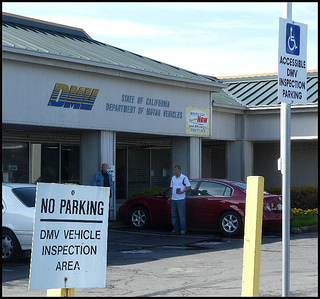 We hope California will continue to refine the provisional licensure system to help prevent accidents involving young drivers. We will also continue to represent the victims of accidents caused by inexperienced and/or irresponsible teen drivers. Please call if our Sacramento car accident law firm can help you or your family move forward after such a tragedy.